Öffentlicher Zugang zum Strand! Sommer im Auftanken! Sommer buchen! Gulfview-Haus südlich von 30-A mit schönen Dünen direkt vor dem Haus. Sie können den Golf vom Haus hören und sehen. Das Haus ist nur 100 Schritte vom weißen "quietschenden" Sand und dem smaragdfarbenen Wasser des Golfs von Mexiko entfernt. Sackgasse in einem Wohngebiet bietet Ihnen einen ruhigen Strandurlaub mit sternreichen Nächten. Die 800 m² großen, umlaufenden Veranden und die abgeschirmte Veranda bieten eine großartige Umgebung für dieses geräumige Haus. Die erste Etage hat eine große überdachte Veranda. Die gut ausgestattete Wohnküche und das Hauptschlafzimmer im Erdgeschoss mit einem Queensize-Bett und einem Bad befinden sich im ersten Stock. Der zweite Stock hat der Master mit einem großen Walkout-Balkon mit Kingsize-Bett und Masterbad mit Whirlpool und Dusche. Das zweite Schlafzimmer im Obergeschoss verfügt über zwei große Betten mit eigenem Balkon und eigenem Zugang zum Badezimmer. Das dritte Schlafzimmer im Obergeschoss ist ein Schlafraum mit 4 Stockbetten, die extra lange Zwillinge sind. Parkplatz für 6 Autos. Tierfreundlich für kleine Hunde. Rampe an der Rückseite des Hauses und 3 m breite Türen für Schlafzimmer, Bad und Wohnbereich im Erdgeschoss für einen ROLLSTUHLZUG. HOCH GESCHWINDIGKEITS INTERNET. SAMSTAG bis SAMSTAG VERMIETUNG. Great property. Spotlessly clean and roomy. We had 12 in our party, adults and kids, and never felt crowded. Good ocean view from second floor and just a short walk to the beach. Since it is located on the west end of the beach, the beach is very private and uncrowded. This being the case, it's a bit of a drive to activities. I was impresses with how well the house was equipped, everthing:kitchen appliances, games, books, movies, even beach chairs and sand toys for the kids. The only thing missing,, and the reason for a 4 star rating instead of a 5 star, is a pool. Other that, I would highly recommend this property. Idle Time is ideal for its proximity to the beach - less than 5 min walk - and the very comfortable home that is away from busy 30A. We had two families with 8 pple total and it was the perfect size and great open floor plan downstairs. We liked that it was not part of a planned/gated condo community but such a short drive to rosemary beach and the publix five minutes away. Awesome time, I highly recommend! Thank you for your great review! I hope you come back to Idle Time, soon! This home was very well kept and decorated nicely. We had a large group and were all very comfortable in the house. It had everything we needed and more. The house is a short walk to the beach which was well maintained. 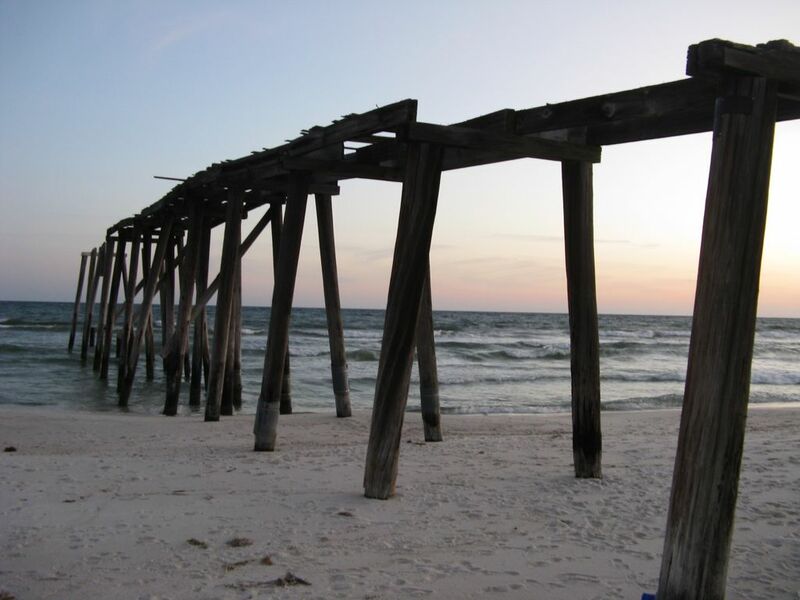 We also visited several nearby beaches in Panama City Beach, Rosemary Beach, Seacrest Beach, and Destin all of which were beautiful. The owner was extremely warm and friendly, and the Managment company was responsive to our needs. We all enjoyed our stay and will love to return one day! Great house, great location with views of the ocean from the upstairs bedrooms. Idle Time had everything we needed and more. Easy walk to the ocean, Rosemary Beach and a short drive to Origins golf course as well as several excellent restaurants nearby. The house was clean and very comfortable with a well stocked kitchen and a great dinning room area. Thank you Kerry for sharing your home with us. We enjoyed a wonderful week at this house! Fire-pit out back were a plus!! The "bunk room" was very comfortable and much nicer than expected, even for 9th grade kids. Pet friendly and close to Rosemary beach! The house was spacious, decorated nicely and close to beach with a great washer & dryer. However, the house was not very clean. There was dried food and crap all over cabinet handles and drawers. There was dog hair all over the furniture. Lots of light bulbs were out. Very low water pressure for showering, didnt feel clean after a day at beach with suntan lotion. Carpets were heavily soiled. If you are visiting my property please contact us or my rental agency immediately after check in if you find any items that need fixing or cleaned in the house. I replaced my cleaners after this review. I cleaned the carpets and replaced the shower head. The inspections were increased for the house by my rental agency to weekly. My rental agency started a maintenance program to fix and visit the property on a more regular basis.